Get La Fontaine for 80% off! 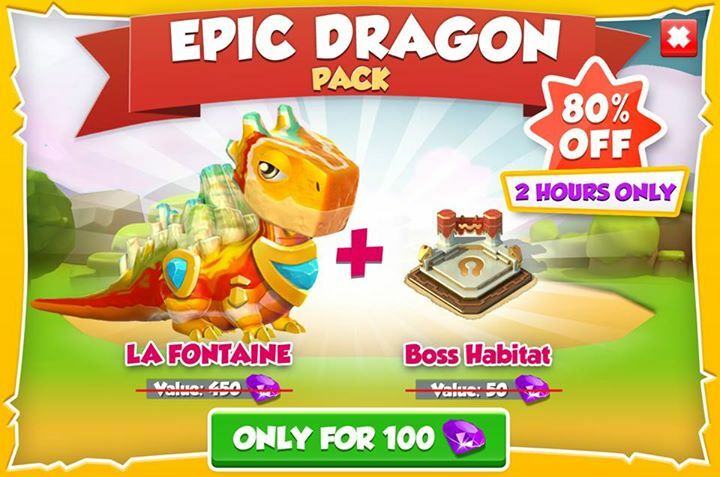 For a very limited time for 100 Gems you can get the La Fontaine dragon for 80% off the original 450 Gem price. You also get the Boss Habitat for free, a 50 Gem value.